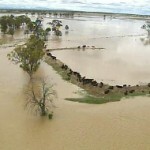 Katter slams “inconsistent”, “hypocritical” Greens (0) January 20, 2011 Greens Senator Bob Brown continues to draw widespread criticism for accusing the mining industry of having a hand in the devastating floods across the country. QLD coal rail still see setbacks (0) January 20, 2011 The rail system that transports coal from Blackwater to Gladstone port may not be at full capacity again until March. Thiess to expand operations at Bowen Basin (0) January 19, 2011 A $1.3 billion contract to extend operations at Peabody Energy’s Burton coal mine has been awarded to Leighton subsidiary Thiess. Brown’s comments insensitive: unions (0) January 19, 2011 Comments made by Greens Leader Bob Brown, blaming the mining industry for the weather conditions that led to the devastating floods in Queensland have been slammed by unions. Police to release Pike River documents (0) January 19, 2011 Police in charge of the Pike River coal disaster say they will release documents explaining the decision to abandon their efforts, according to a lawyer for the families. Philippines rights commission want oz miner out (0) January 19, 2011 The Philippines human rights have called for its Government to revoke OceanaGold’s right to mine in the nation. Flinders up on iron ore find (0) January 19, 2011 Flinders Mines have jumped in price following encouraging results from its Pilbara iron ore pre-feasibility study. Magellan still waiting for all clear (0) January 19, 2011 Magellan Metals is still waiting for clearance to once more begin exporting lead from its Wiluna mine. Thiess awarded major coal seam contract (0) January 18, 2011 Thiess has won a major coal seam gas upstream infrastructure contract in Queensland. Spinifex Ridge in doubt (0) January 18, 2011 Moly Mines molybdenum project is in doubt as the Australian dollar rises. 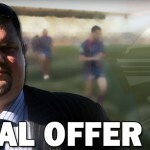 Nathan Tinkler offers $100 million for Newcastle Knights (0) January 18, 2011 Nathan Tinkler has offered $100 million to buy the Newcastle Knights, guaranteeing $10m in sponsorship for the NRL club every year for the next ten years. World’s largest tantalum operations back in business (0) January 18, 2011 Global Advanced Metals, formerly known as Talison, has reopened its Wodinga and Greenbushes operations. Mining bid blocked by native title ruling (0) January 18, 2011 An Adelaide court has ruled in favour of native title claims and blocked a bid to explore vast mineral deposits at Lake Torrens in far north South Australia. Brown blames floods on mining sector (0) January 18, 2011 Greens leader Bob Brown has drawn widespread criticism for blaming the flooding throughout Australia on climate change caused by fossil fuels. Silver mine near Cobar would be one of world’s largest (0) January 17, 2011 Mining at the open cut lead and silver mine south of Cobar could begin by the end of this year. 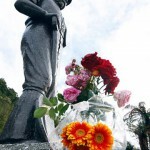 Pike River families ‘gutted’ by decision to seal coal mine (0) January 17, 2011 The decision to end the recovery effort for the bodies inside the Pike River coal mine has left families of the 29 men gutted. Indigenous employment strategy slammed by Rio Tinto (0) January 14, 2011 Rio Tinto has criticised the Federal Government’s Aboriginal employment strategy and says it does not provide opportunities for Indigenous Australians. Miners give big to QLD flood victims (0) January 14, 2011 Mining companies are among the most generous contributor’s to the Premier’s Flood Relief Appeal, which has raised over $45 million as of yesterday afternoon. Output up a third for Rio’s Coal and Allied (0) January 14, 2011 Despite rain impacting on mining operations in the Hunter Valley, Coal and Allied Industries say production rose 34 per cent in the last quarter of 2010. Clive Palmer saves 60 with private helicopter (0) January 13, 2011 One of Australia’s richest men, mining giant Clive Palmer has used his private helicopter to save up to 60 people surrounded by floodwaters in south-east Queensland. Research for dust suppressants at coal mines (0) January 13, 2011 Government agencies and the mining industry are working together to provide research on reducing dust from haul roads. Development at Pike River (0) January 13, 2011 Police will make a major annoucement regarding developments at the Pike River coal mine. National Park may not stop Dharawal mining (0) January 13, 2011 Environmentalists have warned that turning the Dharawal State Conservation area into a national park may not stop the mining there. Coal mine modifications approved (0) January 13, 2011 The Department of Planning has approved modifications to the Ashton underground coal mine in the Hunter Valley. Blakefield South blaze caused by methane gas (0) January 12, 2011 The fire at the Blakefield South underground mine last week appears to have been caused by methane gas, according to mining union officials. 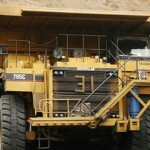 Orange candidates should share views on mining: lobby group (0) January 12, 2011 The seat of Orange, in mid-west New South Wales will be heavily influenced by possible mining expansion in the area. Mining awards enter new territory (0) January 12, 2011 In a world first, the Australian Mining Annual Prospect Awards will be co-hosted by the international mining exhibition AIMEX. New Hope Coal suspends QLD operations (0) January 12, 2011 Queensland coal miner New Hope has suspended production as heavy rain and flooding continues across the state. 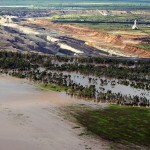 Floods take billion dollar toll on coal (0) January 12, 2011 Flooding in Queensland has cost the coal industry $2 billion in lost production. Pike River Mine area evacuated (0) January 11, 2011 Gas levels at the Pike River coal mine are fluctuating dangerously causing the area to once again be evacuated. Nickel price slumps (0) January 11, 2011 The price of nickel has dropped nearly 45 cents a pound over the last week. Flood waters inundate QLD mine [Video] (1) January 11, 2011 Heavy rain falls have caused flood waters to break through the retaining wall at the Baralaba coal mine. 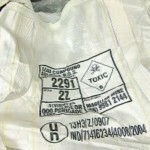 Lead did not exceed legal limit: Magellan (0) January 11, 2011 Magellan Metals says laboratory tests have shown traces of lead detected within sealed containers bound for Freemantle Port did not exceeded the legal limit. Pike River donations distribution “complex”: Mayor (0) January 11, 2011 Grey District Mayor Tony Kokshoorn says the distribution of funds to families of the Pike River Coal tragedy is complicated and technical. 320 per cent increase for Wongawalli mine estimates (0) January 10, 2011 Estimated coal reserves at the Wongawalli mine have skyrocketed by 320 per cent. BHP wants talks with State Opposition over National Park (0) January 10, 2011 The NSW State Opposition says if it is elected in March they will declare the Dharawal State conservation area a National Park so it can never be mined. South Australian deepwater port fast tracked (0) January 10, 2011 The South Australian Government has fast tracked a planned deepwater port on the Eyre Peninsula. Fire delivers further setbacks for Hunter mine (0) January 10, 2011 Following the affects of the floods in Queensland, mining giant Xstrata has faced another setback with an underground fire at its Hunter Valley coal mine continuing to burn. 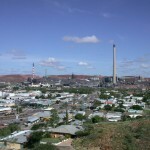 Lead contamination shuts Magellan mine (0) January 10, 2011 Mining has stopped at Magellan Mines’ Wiluna site following Government orders to cease transportation of lead from the mine. Floods damaging Australia’s mining exports (0) January 10, 2011 The floods in Queensland are damaging the mining industry, and companies are projecting far lower profits than expected as work remains impossible inside the waterlogged mines. Australian Mining On Break (0) December 17, 2010 Australian Mining will be on a break from the 17th of December until early next year. Mining still strong, despite difficult year (0) December 17, 2010 Western Australia continues to lead all other states and territories with mining investment, almost equalling its previous record of $71.3 billion set in 2008-09. Community against Margaret River coalmine (0) December 17, 2010 Anger is building in the Margaret River region of Western Australia, as the public argue against a planned coalmine. 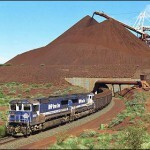 Rail and port negotiations for Brockman, Fortescue (0) December 17, 2010 Brockman Resources has found a defence against a scrip-only take over bid from Hong Kong investment group Wah Nam. Collie urea plant get green light (0) December 16, 2010 The sale of Griffin Coal’s mining assets means financing can begin for the proposed urea plant to be built in the South West, according to Perdaman Chemicals and Fertilisers. Thiess awarded billion dollar extension to coal mine contract (0) December 16, 2010 Thiess has won a $1.015 billion extension for its Mt Owen coal mine contract. Griffin Coal sells assets (0) December 16, 2010 The sale of Griffin Coal’s mining assets has been welcomed by the Collie Chamber of Commerce, after they went into administration with debts of up to $1 billion in January. Downer gets $900 million project for NSW mine (0) December 16, 2010 Downer EDI Ltd has signed a deal with Idemitsu Resources Pty Ltd to provide mining services at the Boggabri open-cut coal mine in the Gunnedah Basin. MineARC Systems wins Exporter of the Year (0) December 16, 2010 MineARC Systems has been named the WA Exporter of the Year 2010 in the Small to Medium Manufacturer category at this year’s State Export Awards. Indian company buys Griffin Coal (905) December 15, 2010 Indian infrastructure group Lanco Infratech has acquired the assets of the failed Griffin Group. NSW releases planning performance stats (0) December 15, 2010 The latest annual report from the NSW Department of Planning has recorded a trebling in the number of actions taken against coal mines. Pike River contractors owed millions (0) December 15, 2010 Millions of dollars owed to the contractors and workers at Pike River Coal may never be paid, as the company falls into receivership. Drilling company sold (0) December 14, 2010 One of Australia’s largest drilling companies has been bought by Transfield Services. Qantas buys charter airline for FIFO workers (0) December 14, 2010 Qantas has bought the charter airline Network Aviation for $30 million, as it plans to meet the demands by the mining industry for more remote flights into remote Western Australia. Palmer sources Chinese miners for QLD (0) December 14, 2010 Clive Palmer will bring in hundreds of Chinese miners to work on his Queensland coal mine. Mine Olympic Dam without uranium: Greens (0) December 13, 2010 The Greens have both called for the expansion of the Olympic Dam mine in South Australia’s far north coast to go ahead without uranium mining. Xstrata leading the way in solar installation (0) December 13, 2010 Xstrata’s Mt Isa Mines has mounted one of Australia’s largest solar panel installations. Royal Commissioners into Pike River announced (0) December 13, 2010 The New Zealand government has announced two additional commissioners as well as a completion timeline for the Royal Commission into the Pike River tragedy. Progress at Pike River coal mine (0) December 13, 2010 Recovery efforts have taken a step forward with workers finally capping the Pike River coal mine. Warriors and Knights to play in memory of Pike River (0) December 13, 2010 The NRL has confirmed a charity match between the Newcastle Knights and New Zealand Warriors in memory of the Pike River Coal disaster. 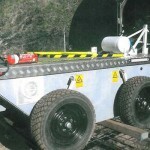 Approval for Queensland’s ‘missing link’ (0) December 13, 2010 Environmental approval has been granted for southern Queensland’s ‘missing rail link’. Environmental deadline for Cougar (0) December 10, 2010 Cougar Energy has until the end of today to submit environmental reports for its Kingaroy plant. QEC pushes for greater exploration (0) December 10, 2010 A new minerals and exploration body has been created in Queensland. Capping Pike River mine could cause further explosions (0) December 9, 2010 Police say putting a cap on the Pike River Coal mine could cause further explosions. Job losses at Beaconsfield following decision to outsource (0) December 9, 2010 The Beaconsfield gold mine in Tasmania has retrenched 85 workers in their attempts to make the mine more profitable. Canberra undermining MRRT, industry says (0) December 9, 2010 Two major miners have accused Canberra of pulling out of certain mining tax agreements. Communities slam mining violence report (91) December 8, 2010 Local police and mining industry bodies have dismissed claims that violence in Western Australia’s mining areas is the worst in Australia. Komatsu build super site (0) December 8, 2010 Komatsu Australia has begun building a new ‘super-site’ for dump truck assembly. Norilsk to re-open mothballed mines (0) December 8, 2010 Russian mining giant Norilsk Nickel is set to re-open its closed WA mines. 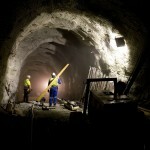 NSW increasingly vital to mining sector (0) December 8, 2010 New figures released show the importance of the minerals sector in New South Wales, with thousands of jobs created and almost a billion dollars in royalties returned in one year. GAG jet in action at Pike River (0) December 8, 2010 The GAG jet in action at the Pike River Coal mine, fighting the fires. Fire decreasing inside Pike River Coal mine (0) December 7, 2010 The fire at the Pike River Coal mine, where 29 men perished last month, appears to be going out, according the CEO Peter Whittall. QLD unions discuss fair mine tax (0) December 6, 2010 Queensland union delegates are meeting in Brisbane today to refine their position on the new mining tax proposed by the federal government. Chip oil used to blow mines in the Pilbara (0) December 6, 2010 Indigenous people in the Pilbara will assist in blowing holes in the ground at the Tom Price mines site, using oil which was once used to cook chips. Coal tonnages down at Newcastle (0) December 6, 2010 The Port of Newcastle has seen coal throughput fall. Vale announces partnership with UQ (0) December 3, 2010 Mining giant Vale has announced a five year, $2.5 million partnership with the University of Queensland. Illawara Coal Defends Shaft 600m From School (0) December 3, 2010 Illawara Coal has defended plans to build a mine second ventilation shaft that pumps out 600 cubic metres of air a near a public school. Greens slam BHP for EIS time frame (0) December 3, 2010 The Greens have complained of the length of time BHP has taken to release its response to environmental concerns regarding the Olympic Dam expansion. DMP Announces Key Safety Reforms (0) December 2, 2010 A new lead auditor training program and in-principle agreement to implement principle hazard treatment have been announced by the WA Department of Mines and Petroleum (DMP). Memorial for Pike River Miners (0) December 2, 2010 A memorial will be held today for the 29 miners killed in the Pike River Coal disaster. 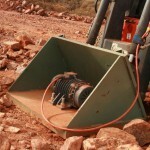 190 New Jobs Promised in SA (0) December 2, 2010 WPG Resources has promised 190 new mining jobs as part of its iron ore project near Cooper Pedy. GAG to Be Deployed Tonight (0) December 1, 2010 The GAG engine is expected to be deployed into the Pike River mine tonight, Superintendent Gary Knowles has announced. CMFEU Pledges $100 000 to Families of Pike River Victims (0) December 1, 2010 Australia’s primary union for construction, forestry, mining and energy production, CMFEU, has pledged $100 000 to the families of the Pike River Coal disaster victims. 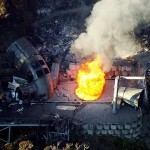 Footage of the Fourth explosion at Pike River (0) December 1, 2010 Dramatic footage of the fourth explosion at the Pike River underground coal mine. Voluntary Green Code Formed in WA (0) December 1, 2010 A voluntary code of environmental practice for mineral exploration has been developed for local mining in Western Australia. 100 New Workers Needed For QLD Mines (0) December 1, 2010 Two mines in north Queensland will employ 100 new workers as it expands its metal operations. Government Lost $8 million in Royalties (0) December 1, 2010 The Opposition are calling for an urgent investigation after the NSW Auditor-General reported an $8 million loss from additional coal royalties not collected over a five year period. 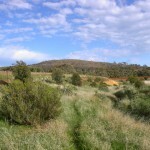 WA coal mine takes a step forward (0) December 1, 2010 Despite serious opposition, plans for a coal mine in the Margaret River are going ahead. Quarry fined for exceeding production (0) December 1, 2010 A Hunter rock quarry has been fined for taking more than a quarter of a million tones above its set production levels. GAG Expert Arriving at Pike River (0) November 30, 2010 An Australian expert on the Gorniczy Agregat Gasniczy (GAG) engine will arrive in New Zealand tonight, to assist authorities deciding if and when the machine will be used. Mine Rates May Be Refunded by Council (0) November 30, 2010 Every council in Queensland will be affected by the outcome of rate refund negotiations, according to the Whitsundays Regional Council. Footage from inside the mine (0) November 30, 2010 Images from the robots inside the Pike River underground coal mine. No Decision on Next Project Until 2011: Macarthur Coal (0) November 30, 2010 Macarthur Coal has stalled on making a decision regarding its next Queensland project. 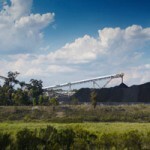 Macarthur Coal Yet To Make Decision on Next Project (0) November 30, 2010 Macarthur Coal has stalled on making a decision regarding its next Queensland mine project. New fire rocks NZ coal mine (0) November 30, 2010 The Pike River coal mine has seen another setback as fires underground block the recovery of the 29 miners. WorkSafe Investigating Rockfall Injury (0) November 30, 2010 A 48 year old man was critically injured when a rock crushed him in the Kangaroo Flat mine on Sunday. BMA forced to close mine (0) November 30, 2010 BMA has shut down its Norwich Park mine following a breach of health and safety laws. Fifth Explosion Rocks PIke River (0) November 29, 2010 A fifth explosion has occurred inside the Pike River Coal mine where 29 men were trapped on November 19. Key Announces Details of Royal Commission into Pike River Tragedy (0) November 29, 2010 New Zealand Prime Minister John Key has officially announced details of the royal commission into the Pike River Coal mining tragedy, where 29 men perished last week. Rio Tinto Expands Pilbara Mineral Resources by 2 Billion Tonnes (0) November 29, 2010 Rio Tinto has produced new drilling results in the Pilbara, revealing a 2 billion tonnes addition the Mineral Resource base. Record gold prices fuel exploration (0) November 29, 2010 Gold’s constantly skyrocketing price has created a boom in production, greenfields exploration and investment in the metal. New Zealand may ban underground coal mining (0) November 29, 2010 The future of underground mining in New Zealand is at stake as a Royal Commission is called to investigate the Pike River coal mine tragedy. Third explosion at NZ mine (0) November 26, 2010 There has beenconfirmation a third explosion at the Pike River coal mine. Contractors jobs at risk (0) November 26, 2010 Hundreds of contractors jobs are at risk as AE&E Australia is placed into administration. Six bodies found after Colombian mine blast (0) November 25, 2010 Rescue workers have recovered the bodies of six workers killed in a mine blast yesterday in central Colombia. CSG Moratorium Rejected in Parliament (0) November 25, 2010 Both major political parties have rejected calls for a moratorium on new coal seam gas (CSG) projects. 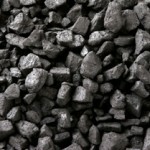 Mine Strike Pushes Coal Prices Up (0) November 25, 2010 Copper prices have risen in New York, as a strike at the world’s fourth biggest mine continues. Sandvik strike escalates (0) November 25, 2010 An industrial dispute has seen workers picketing outside of Sandvik’s Tomago site. Smouldering coal likely suspect for mine blast, geologists say (0) November 25, 2010 It is believed that smouldering coal in the depths of the Pike River mine is a culprit in New Zealand’s most deadly mine tragedy since 1967. Second “Horrific” Blast Rules Out Chance of Survivors (0) November 24, 2010 New Zealand officials have confirmed that a second blast has occured at the underground Pike River Coal mine and there is now little to no hope for survivors. Aussie Journalists Insult NZ Officials (0) November 24, 2010 Two Australian journalists have angered New Zealand officials, who labelled one ‘boorish’, following unsubstantiated comments and ill-informed questions regarding the rescue of trapped miners on the country’s south island. NZ Miners May Never Be Found (0) November 24, 2010 Authorities in New Zealand have said rescue teams may never enter the mine where 29 men are trapped. Drill break through at mine; Miner’s helmet found (0) November 24, 2010 A major breakthrough has occured at the Pike River Mine, as drillers enter the mine and robots relay footage of a miner’s helmet. Mine too dangerous to enter (0) November 23, 2010 The situation at the Pike River mine is now too dangerous to attempt a rescue officials have said. Farmers Prepared to Face Jail to Keep Mining Companies Out (0) November 23, 2010 A group of southern Queensland farmers say they are prepared to face jail in their fight against coal and gas mining in their area. 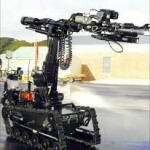 WA to send rescue robot (0) November 23, 2010 Western Australia’s Water Corporation has sent a gas detecting robot to help find the trapped New Zealand miners. Mine rescue robot breaks down (0) November 23, 2010 In the latest tragedy to hit the trapped New Zealand miners, the rescue robots have broken down. Search for SA phosphorous is on (0) November 22, 2010 Flinders Exploration is aiming to become South Australia’s first underground phosphorous miner following exploration early next year. Search for SA phosphorus is on (0) November 22, 2010 Flinders Exploration is aiming to become South Australia’s first underground phosphorus miner following exploration early next year. Robot may make mine rescue worse (0) November 22, 2010 A robot being sent underground to find the missing miners may increase the danger of the situation, Pike River’s chairman John Dow has said. Miners still trapped (0) November 22, 2010 Twenty nine miners are still trapped in underground in a New Zealand coal mine following an explosion late Friday. 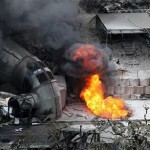 Explosion at NZ coal mine (0) November 19, 2010 There has been an explosion at an underground coal mine in New Zealand. WA companies fly green credentials at Golden Gecko Awards (0) November 19, 2010 In the November edition of Australian Mining, Jamie Wade had an in-depth look at the innovative research that won Crosslands Resources a Golden Gecko award. Atlas close to rail access agreements (0) November 19, 2010 Iron ore miner Atlas Iron is on the verge of gaining access to BHP’s rail infrastructure. Gulgong mine expansion approved (0) November 19, 2010 The expansion of Xstrata’s Ulan coal mine has been approved. Singleton calls for coal seam gas ban (0) November 18, 2010 The Singleton Council has proposed a ban on coal seam gas exploration and drilling within its shire. Greens calls for coal seam gas monitoring (0) November 17, 2010 The Greens have called for independent monitoring of the growing coal seam gas sector. An insight into the Prospect Awards (0) November 17, 2010 Australian Mining hosted the NSWMC CEO Nikki Williams at the Prospect Awards, where she gave an insight into what is happening the mining industry today. Brockman rejects Chinese advances (0) November 17, 2010 Iron ore junior Brockman Resources has called for shareholders to decline a wholly scrip offer from Chinese company Wah Nam International. Beaconsfield deadline extended (0) November 16, 2010 The Beaconsfield Gold mine has been given a 48 hour extension on its deadline to restructure the company. Caterpillar unveils Bucyrus takeover plans (0) November 16, 2010 Caterpillar has announced plans to acquire Bucyrus International for $7.7 billion. BHP pulls potash bid (0) November 15, 2010 BHP has abandoned its US$45 billion bid for Canadian fertiliser company, Potash Corporation of Saskatchewan. OECD calls for higher mining tax (0) November 15, 2010 The OECD has made calls for Australia to increase the level and scope of its mining tax. Underground super highway (0) November 12, 2010 Rugged fibre optic cables are opening an entire new world underground. 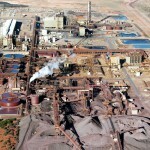 Ravensthorpe rejig revised (0) November 12, 2010 The cost of resurrecting the Ravensthorpe nickel mine has jumped to $200 million. Mining’s night of nights (0) November 12, 2010 The mining industry gathered last night to celebrate the 7th Annual Australian Mining Prospect Awards. Mastermyne launch training facility (0) November 11, 2010 Contract mining services company Mastermyne has launched an underground coal mining training facility. Xstrata open complaints line (0) November 10, 2010 Xstrata has opened a 24 hour complaints hotline for the community at its Mt Isa mine. Reaching out to bereaved families (2) November 10, 2010 A mining legacy scheme has been launched to support the families of miners. Gold’s non stop ascent (0) November 9, 2010 Gold prices have again hit record levels, breaking the $1400 per ounce mark. Court probes iron ore bid (0) November 9, 2010 The Land Court will provide recommendations regarding a bid to mine manganese ore in Central Queensland. Rinehart opens test pit (0) November 8, 2010 Gina Rinehart’s Hancock Prospecting has opened a 100 000 tonne per year test pit at its Alpha Coalmine. Cape Lambert sells DMC (0) November 8, 2010 Cape Lambert has sold its subsidiary DMC Mining just months after acquiring it. Mining tax revenue falls short (0) November 5, 2010 Revenue from the mining tax will fall short of earlier election forecasts, Federal treasurer Wayne Swan says. 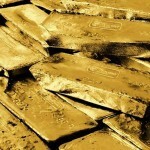 Miner launches massive gold IPO (0) November 5, 2010 Kula Gold has launched the largest gold public offering in the last three years. BHP Potash bid blocked (0) November 4, 2010 The Canadian Government has denied BHP Billiton’s bid for Potash Corp.
Griffin deadline extended (0) November 3, 2010 The bidding deadline for collapsed coal miner Griffin Coal has been extended. Mining tax causes split in WA Labor ranks (0) November 2, 2010 Elements of the Labor party in Western Australia have called for mining tax to be delayed. Potash play decision comes tomorrow (0) November 2, 2010 Canada’s foreign investment body will rule tomorrow on whether BHP can continue its potash play. Xstrata to expand zinc operations (0) November 1, 2010 Xstrata has given the green light to a multi million dollar expansion at its Mt Isa mine. 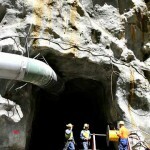 Government making exploration harder, Roche says (0) October 28, 2010 Queensland Resources Council chief Michael Roche has said investment into mining exploration in the State is “off kilter. SBM – construction and mining equipments in China (0) October 27, 2010 SBM is a famous construction and mining equipments manufacturer in China. Eastern Goldfields uranium moves closer to reality (0) October 27, 2010 A uranium project in Western Australia’s Eastern Goldfield’s has moved closer to production after being granted initial environmental approval. Cloncurry mine fined for pollution (0) October 22, 2010 A Cloncurry copper mine has fined for damage to a local creek. Fortescue in halt amidst project blowout (0) October 21, 2010 Fortescue has gone into a trading halt following announcement of a cost blowout. Miners fear tax back flip (0) October 20, 2010 Miners are concerned that the Government may renege on aspects of its mine tax agreements. 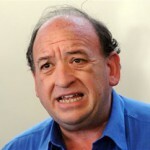 Rudd Government told RSPT could be unconstitutional, senate hears (0) October 19, 2010 The head of Australian Government Solicitors has confirmed that the Federal Government had been advised that the now-scrapped Resource Super Profits Tax may have been unconstitutional. Rio and BHP confirm joint venture scrapping (0) October 18, 2010 After a protracted period of uncertainty and conjecture, BHP Billiton and Rio Tinto have confirmed their proposed $117 billion Pilbara iron ore joint venture has been canned. WA supports mining tax court challenges (0) October 18, 2010 West Australian premier Colin Barnett has vowed to support any mining companies that mount a High Court challenge to the mining tax. Northern Energy turns down New Hope bid (0) October 15, 2010 Coal junior Northern Energy has rejected an “opportunistic” $193 million takeover bid from New Hope Coal. Mt Marion lithium plant approved (0) October 15, 2010 Reed Resources has received environmental approval for its Mt Marion lithium processing plant. Germany blocks Rio BHP joint venture (0) October 15, 2010 The Pilbara iron ore joint venture between Rio and BHP has been blocked by German antitrust authorities. Beaconsfield mine avoids closure (0) October 14, 2010 Owners of the Beaconsfield Gold mine have narrowly avoided closure. Port Hedland looks for approvals for expansions (0) October 13, 2010 The Port Hedland Port Authority has applied for the green light to begin a dredging program that will see the harbour’s annual export capacity increase by 50 million tonnes. Gillard warns of reliance on China (0) October 13, 2010 Prime Minister Julia Gillard has spoken out of the potential dangers of Australia’s mining industry over relying on Chinese demand. 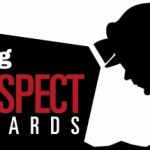 2010 Australian Mining Prospect Awards finalists announced (0) October 11, 2010 Australian Mining has announced the finalists of the 7th annual Australian Mining Prospect Awards. QLD Government undecided on FIFO (0) October 8, 2010 The Queensland Government has taken a step back on FIFO disputes, claiming it is up to regional councils and mining companies to work it out. New inspectors hit mines (0) October 7, 2010 New mine inspectors are to hit the Hunter Valley to ensure coal mines are complying with safety conditions. Emeco sells Bendigo operations as part of mining refocus (0) October 6, 2010 Emeco Holdings has sold its Victorian infrastructure equipment rental business so it can focus its efforts on the mining industry. 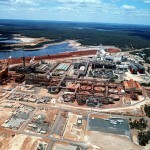 Rio deny JV dropped (0) October 6, 2010 Rio Tinto has denied that it has come to a final decision regarding its iron ore merger with BHP Billiton. Canada extends BHP-Potash takeover review following report (0) October 5, 2010 The Canadian Government has extended its review of BHP Billiton’s $40 billion takeover bid for Potash Corporation by 30 days. IMX adjusts benchmark pricing in Tonghua iron ore contract (0) October 1, 2010 IMX Resources has updated the benchmark pricing in its sales contract with Jilin Tonghua Iron and Steel Group for iron ore produced at its Cairn Hill mine. 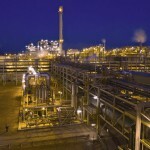 Bandana Energy grabs Wiggins Island Coal Terminal capacity (0) October 1, 2010 Bandanna Energy has secured a four million tonne per annum allocation at the proposed $2 billion Wiggins Island Coal Export Terminal development at Gladstone, Queensland. Minerals Down Under boss rejoins Curtin University (0) October 1, 2010 The director of CSIRO’s Minerals Down Under National Research Flagship, Professor Peter Lily will next year return to the Curtin Institute of Minerals and Energy. China will not accept mining tax steel makers say (0) September 29, 2010 Chinese steel mills will not deal with the increased costs from an Australian mining tax, Chinese officials say. 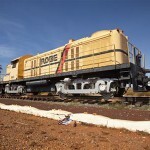 Barnett gets guarantee for Oakajee infrastructure project (0) September 29, 2010 Western Australian Premier Colin Barnett yesterday sought assurances from Oakajee Port and Rail that the eponymous infrastructure project was indeed going ahead. Tax talks to begin (0) September 29, 2010 The Federal Government is expecting intense discussions as it look to start its mining tax consultations next week. Greens oppose coal conversion (0) September 28, 2010 The Greens are declaring it will oppose the conversion of coal into liquid in the Hunter Valley. 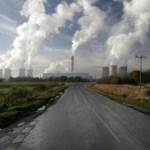 Xstrata Coal calls for carbon tax talks (0) September 27, 2010 The chief executive of Swiss-Anglo mining giant Xstrata Coal has weighed into the carbon tax debate, urging the Federal Government to begin negotiations. Underground maintenance (0) September 27, 2010 A training program has been developed that is focused on what’s driving underground mining machinery.